I was inspired by the Princess and Popstar by Barbie hair and I always dream of becoming a blonde. 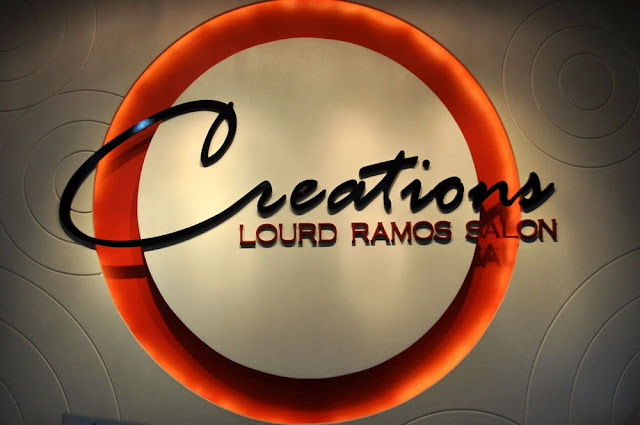 Just in time a blogger friend of mine, Ja Nese invited me to experience the services at Creations by LOURD RAMOS SALON in Green Podium at Taft. 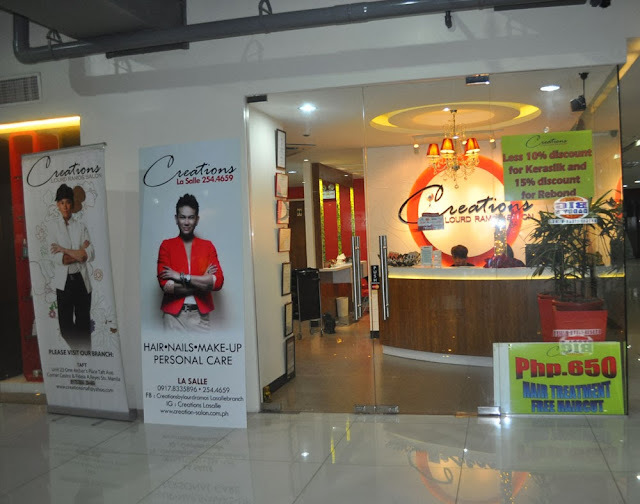 Creations by Lourd Ramos Salon has gained patronage and respect among its extensive array of clientele since its launch on December 10, 2010 due to its innovative state-of-the-art facilities, coupled with each staff's sheer talent and creativity, which promise luxurious beauty enhancement, total relaxation and uncompromised pampering. Lourd Ramos, Davines Italia ambassador, Avon hair care consultant and one of the country’s most sought-after premiere hair and makeup artists together with a roster of highly-trained professionals who recognize the importance of positivity, wellness, and improved self-worth, creates a new and better version of you that will fit in the changing of times that will radiantly stand out. 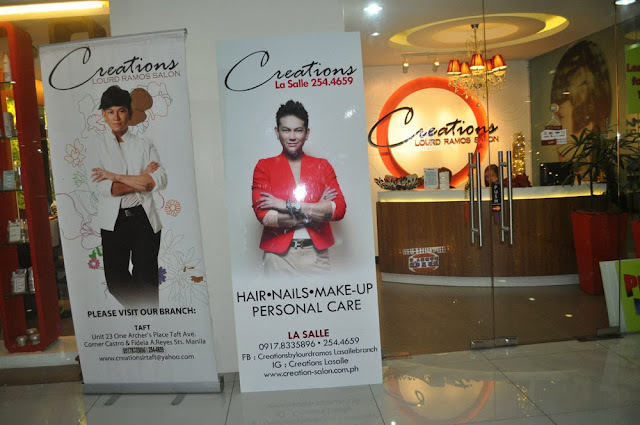 He is also the genius behind the trendy salon, who has garnered top honors like the Go Negosyo Starpreneur award 2011, Studio 23’s Make-up Artist of the Year award 2010, Davines Italia Philippines Grand Winner award 2007, and 5thplace at the Davines World Style Contest in Barcelona, Spain, continues to share his valuable expertise via the birth of his second branch for his namesake Creations by Lourd Ramos Salon. 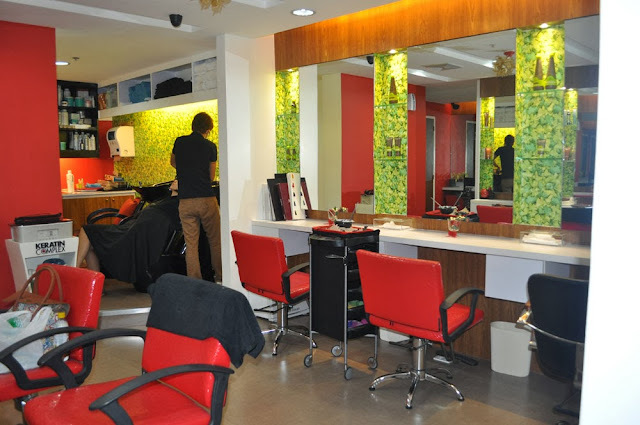 Creations by Lourd Ramos offers a wide array of beauty services such as haircuts, coloring, styling, treatments and more plus luxurious spa services for your regular pampering sessions. 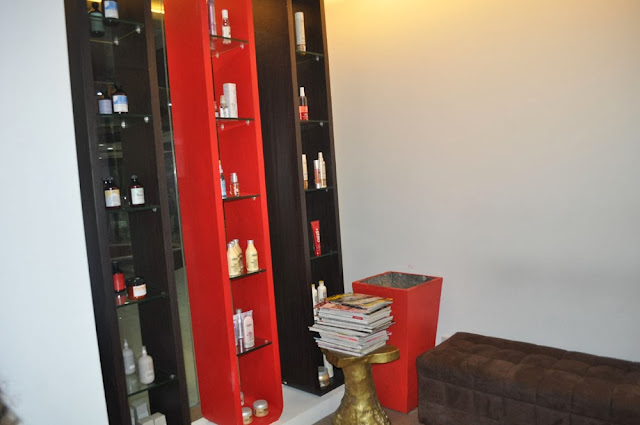 If you are looking for the ultimate hair expert yet very affordable prices to make your hair fabulous and a relaxing pampering day. 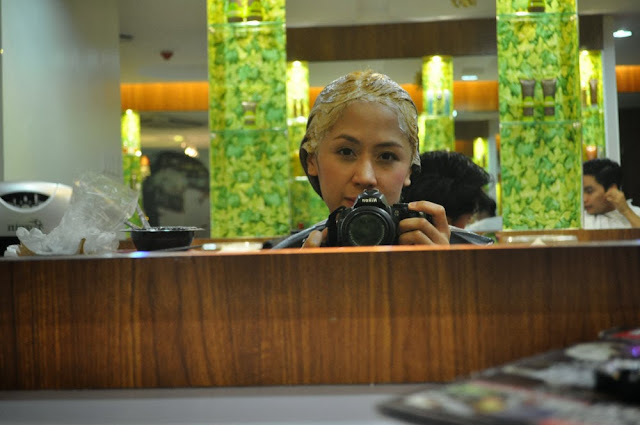 I went to so many salons and no one was able to achieve the super blonde that I want. 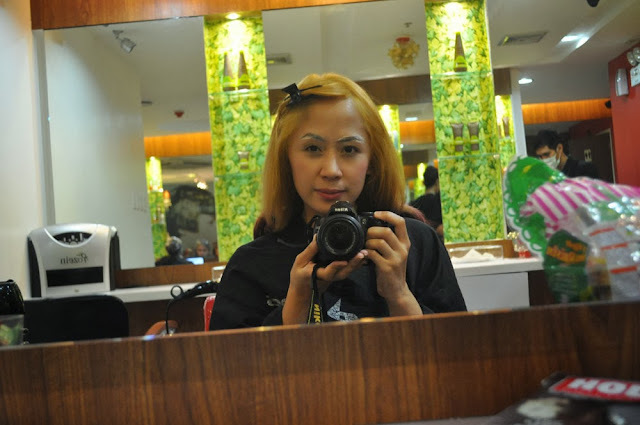 I was so happy and satisfied that finally Creations by LOURD RAMOS SALON achieved the blonde that I had always wanted. Thanks to the hair expert, Brian of Creations ♥ My dream of becoming a blonde was fulfilled. I was also over due for my pedicure so I decided to have it done while waiting for hair. I love that the nail technician was very gentle on my nails. I did not feel any pain despite of not having it clean for over a month. I also had my eyebrow color to match my hair. It will last for about a month. I know it is crazy and not someone who is a Mommy and in my age will do but I really love it before I turned my hair dark next year for another ambition of mine. 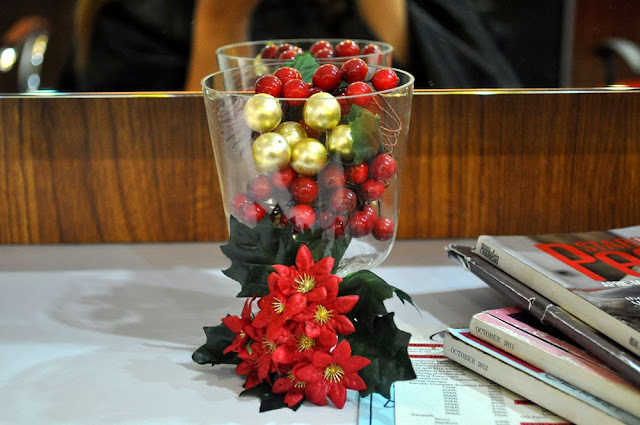 LIKE Creations by Lourd Ramos Salon on FACEBOOK. Oh wow, indeed crazy hair color but suits you a lot. I just think that the top part is too bright..
Im indeed crazy when it comes with hair .. I love the gradient and the colors on your hair tip. Im so jealous that bright color still suits you.. I indeed agree that you super look like a barbie, you can be one! a life size figure hehe, Im jealous with those who have blonde hair, cos they can easily get the hair color that they want unlike us brunettes we sometimes need bleaching to achieve our desire color. Ang cute!!! 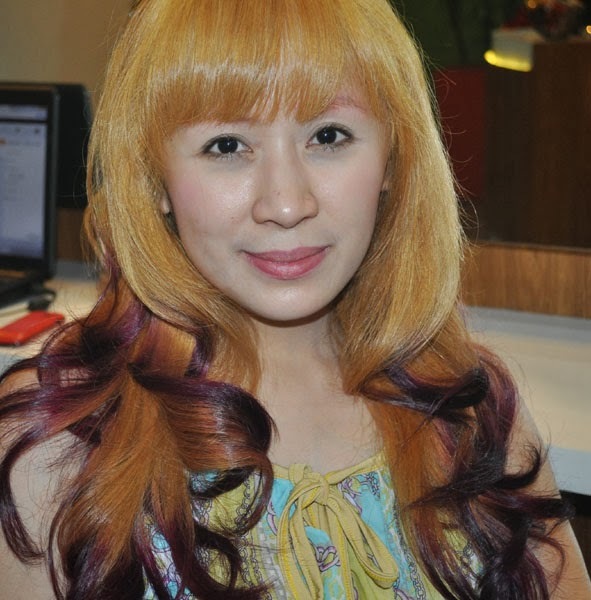 bet ko ang hair color mo! Barbie lang ang peg talaga, match with pink nail polish!! Cute hair rochelle! im so glad you did this! :) big hugs! Thanks Aliz ♥ Yes it was a lot of guts but I just trusted Creations of Lourd Ramos Salon with it and I am glad it turned out okay! It was definitely a head turned for everyone I passed by and talk of the town if whether they can do this kind of crazy but fun hair. I like your hair ambition too. Yes experimenting is FUN! Ang sarap ng attention when you go out. Hahaha everyone will look at you. Naku! Hahaha... Saya experience din. I love the hair color and the nail color, FENK! hihihi. Fab Momma kayo Ms. Rochelle kaya okay lang yan ganyan. Hindi nga po halatang mommy na kayo. Kelan kaya ako magkakaroon ng hair make over.. wala ako lakas ng loob magchange ng hairstyle feeling ko ksi hindi babagay sakin. Hai naku... I therefore conclude na talaga lang isang malaking insecure yung nagparinig sa iyo. Type ko kaya ito. 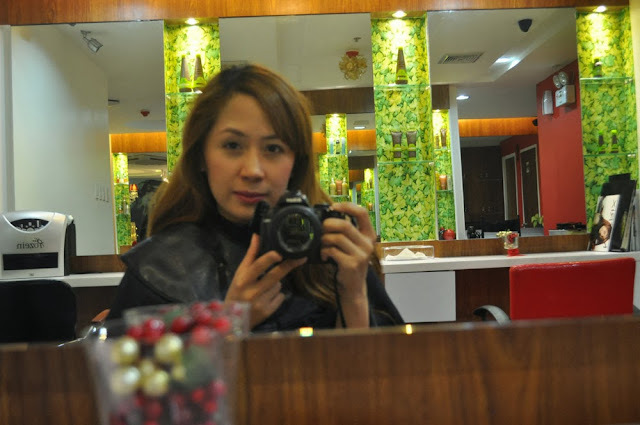 As in now, I am actually planning a new hairstyle before the year ends in time for 2014. Actually it has been a tradition for me to have a new hairstyle every year and everytime I came from a long vacation or whenever I feel bored about something. I was thinking of the same line, pero since morena ako, the base color is a darker shade of brown para hindi nalalayo sa black na normal color ng buhok ko..para di alanganin pag humaba, then, 2 shades of blond naman for the highlights sa ends ng buhok (similar to yours) para kahit nasa office ako, carry lang..lol! I love your hair Ms. Rochelle, I want it to try on my hair.. Para maiba naman.. Kasawa na yung buhok kong boring kasi sa school bawal magpaganyan.. Pero malapit na rin me grumaduate hehehe matutupad na din pangarap kong nagpakulay.. Yehey. Magpapa obre ako na medyo same din sa inyo.. How much po magpaganyan sa kanila.? If u dont mind hehe.. Tingin ko kc maganda yung service nila eh..
Ang tagal ko na din nagpplano na magpakulay ng buhok. Last month pa ata. Kaso di ako makahanap ng time. haha! Sana this summer ma-accomplish ko na. This year nauso talaga ang ombre hair. 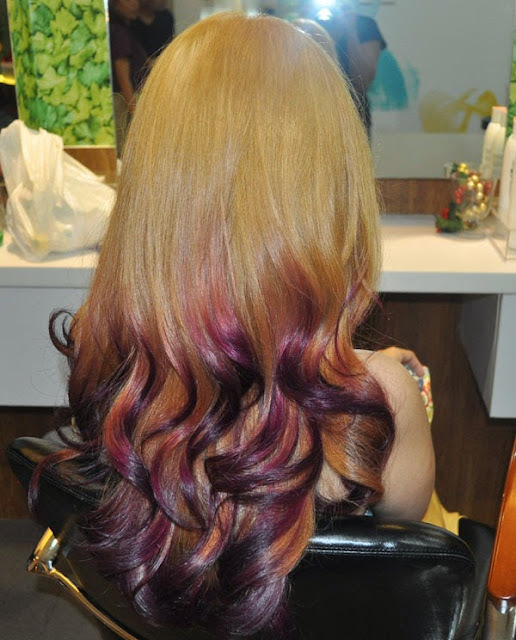 I have a schoolmate who has a very nice ombre. It looks good on her. I mean, I have lots of schoolmate. Im enrolled in an art course, so I expect that so much. haha! For 2014 maybe I'll just retain this black hair color for me. I wasn't able to treat myself for this coming year yet. Hopefully one of these days. Happy New Year! Actually kung pwede nga lang ako magpakulay ng buhok nagawa ko na kaya lang bawal sa isang nurse ang magpakulay lalo na kung gusto mo magtrabaho sa hospital. Pero ang ganda ng hair mo ms. Rochelle, SWEAR!